On this quiet day of remembrance, we honor those who have given their last full measure of devotion in defense of all we hold dear. Please also spare a thought and prayer for the family and friends of the fallen, who keep the memory of their lost loved ones alive. 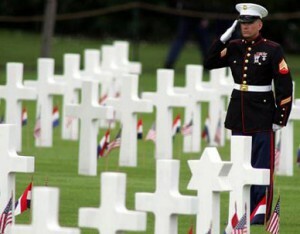 We honor the memory of those who have given "the last full measure of devotion" to our country. And we add a thought and prayer for the families of our fallen who live on. Every country has a Memorial Day tradition, and we applaud everyone who takes the time to think about the contributions of their friends, family members and community members who chose to fight, and sacrificed themselves with what President Abraham Lincoln called “the last full measure of devotion” in his speech at the battlefield of Gettysburg in 1863. We promised we would never forget them or their sacrifice. 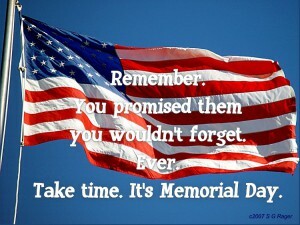 So take the time this weekend to remember.